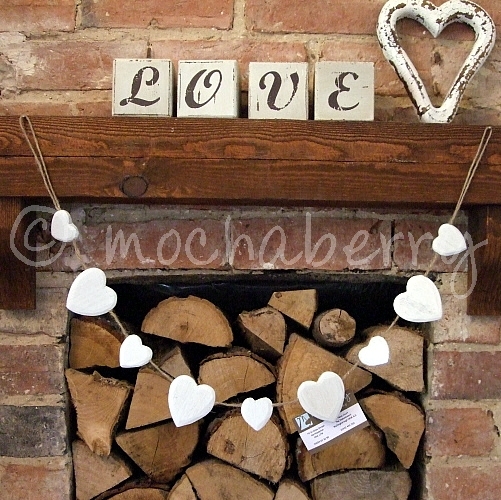 Not only does this look pretty hanging in any room of your home, it is very useful too! Handy for hanging up photos, children's drawings or just notes and invites! Great way not to loose that important piece of paper! 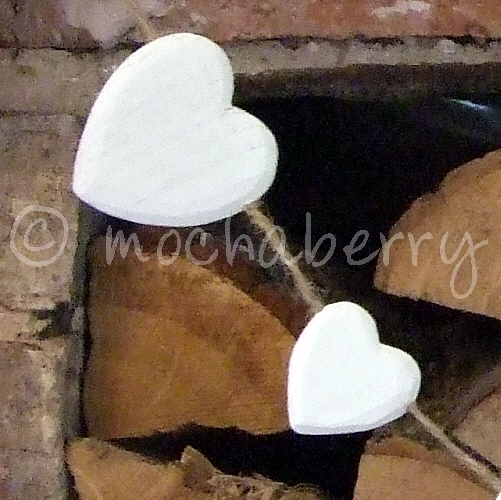 Joined together with rustic string, the wooden hearts are white washed, each heart has a small peg on the back.